Sleeka Original - nicknamed Softie. The original mid layer insulated garment. There have been many emulations, but only ever one filled with Snugpak's own Softie® insulation. Tried and tested in every conflict since the Falkland's War (and never beaten). Paratex Light outer shell for higher performance, moisture wicking and breathability.Sleeka Original. The original mid layer insulated garment. There have been many emulations, but only ever one filled with Snugpak's own Softie® insulation. Tried and tested in every conflict since the Falkland's War (and never beaten). Paratex Light outer shell for higher performance, moisture wicking and breathability. Sleeka Original - 'icknamed Softie®'. The original mid layer insulated garment. There have been many emulations, but only ever one filled with Snugpak's own Softie® insulation. Tried and tested in every conflict since the Falkland's War (and never beaten). 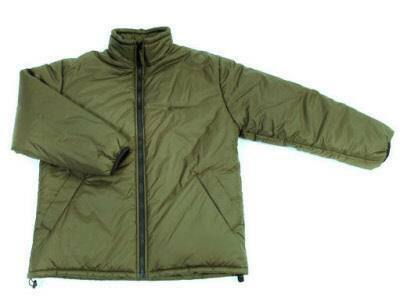 Paratex Light outer shell for higher performance, moisture wicking and breathability.